Currently, there is an entry ban in the Burgenland low-emissions zone on Austrian- and foreign- registered trucks and lorries with an emissions class of EURO 2 and lower. - restrictions on trucks and lorries. Entrance allowed only to vehicles with emissions class EURO 2 and above. - restrictions on trucks and lorries. Entrance allowed only to vehicles with emissions class EURO 3 and above. Are you going to Burgenland by private or business car? From 1. 10. 2017, a restriction applies to vehicles in categories N1, N2 and N3, allowing entrance only to cars falling within the EURO 2 emissions class and above, and from 1. 10. 2018, within the EURO 3 class and above. Entrance to the low-emissions zone of Burgenland thus requires that the coloured Pickerl plaque be affixed to the windscreen. This plaque states the emissions class. The low-emissions zone covers the entire territory of Burgenland with an area of 3,962 km². Order your environmental badge to enter Burgenland and get free shipping! 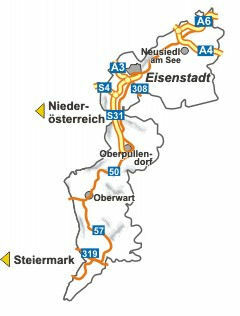 Travelling To Burgenland By Car? Get Pickerl for Burgenland, Vienna and other cities. FREE delivery.